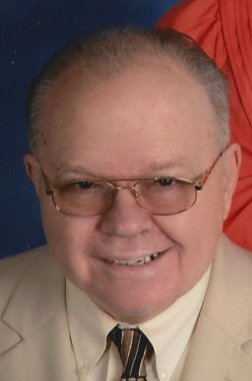 Obituary for Harry S. Harper | Todd Funeral Home, Inc.
Harry S. Harper, 70, of South Beaver Township passed away unexpectedly Thursday August 9. He was born October 18, 1947 in Rochester and was the son of the late Harry and Ruth E. Hogue Harper. Harry had lived in the Beaver area all his life, was a former driver for McCarter Transit and later worked for and retired from Penn Dot. He was a member of the Marion Hill Christian and Missionary Alliance Church, New Brighton and volunteered weekly to use his talent on the keyboard at Providence Health Care in Beaver Falls. In addition to his parents, Harry was preceded in death by his wife Kathleen Harper in 1998 and his in-laws, Paul and Delores Hays. He is survived by his daughter Kara R. Harper, South Beaver, a great uncle, Ernest Traylor, Beaver, cousins, Elizabeth Hogue Letteri, Kettering, OH, Patty Hogue Abdelmessih, Zion, IL and Laura Hogue Niedergall, Beaver, his favorite kitty cat, Houdini and best friend Michael Jackson. Burial will be with his wife in Beaver Cemetery. A memorial service celebrating Harry’s life will be Saturday, August 18 at 11 AM in the Marion Hill Christian and Missionary Alliance Church. The Todd Funeral Home, 340 Third Street, Beaver has been entrusted with the arrangements.